The inspirational true story of the first African American to play college basketball in the deeply segregated Southeastern Conference--a powerful moment in Black history. Andrew Maraniss studied history at Vanderbilt University and as a recipient of the Fred Russell-Grantland Rice sportswriting scholarship, earned the school's Alexander Award for excellence in journalism. He then worked for five years in Vanderbilt's athletic department as the associate director of media relations, dealing primarily with the men's basketball team. The son of Pulitzer Prize-winning journalist and best-selling author David Maraniss and trailblazing environmentalist Linda Maraniss, Andrew was born in Madison, Wisconsin, grew up in Washington, D.C. and Austin, Texas and now lives in Brentwood, Tennessee, with his wife Alison, and their two young children. 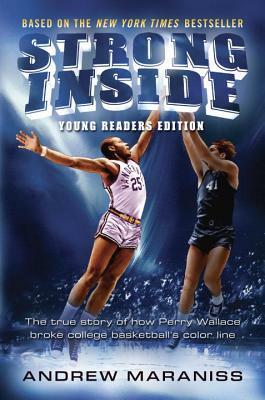 His first book for adults, Strong Inside: Perry Wallace and the Collision of Race and Sports in the South, was a New York Times nonfiction bestseller. Follow Andrew on Twitter @trublu24.